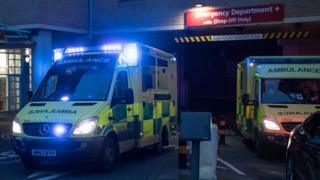 They estimate 187,584 people attended A&E with injuries sustained in violence in 2018 - 3,162 fewer than the previous year. The police statistics partly depend on the public's willingness to report offences - and to a larger extent on how accurately forces record them. The increase has also been driven by the inclusion within the category of "violent crime" of offences such as harassment. The police figures are a reliable indicator of high-harm violence, such as robbery, knife crime and murder - these are less affected by recording changes. But for overall trends, it's better to use data from the official Crime Survey of England and Wales - whose methods haven't altered - and Cardiff University's study. They both tell the same story - a sustained reduction in violence over many years.